We had our first Cross Country outing of the season on Sunday September 27th at the Annual Star of the Sea Cross Country in Stamullen. The Weather was glorious and it made for some great racing on the day. 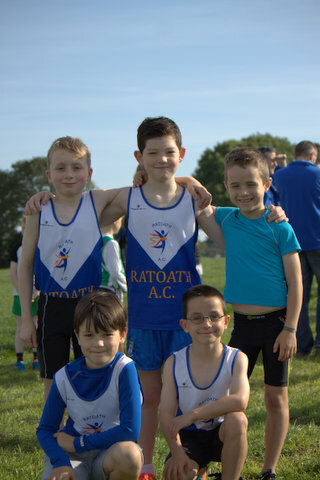 Our u9s were up first in the 500m, James Kelly put in a storming run to finish 4th closely followed by Fionn Heffernan, Gavin Witter, Charlie O’ Connor and Ben O’ Neil, a great run by all the lads earning them silver in the team event. 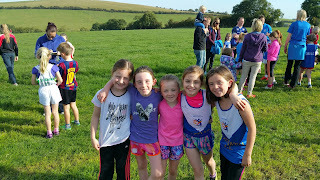 Our u9 girls’ team of Katie Doherty, Sophie Coroner, Isable Wallace, Niamh Colgan and Tara Coyne put in a great run also finishing just outside the medals in 4th. The U10 girl’s team were out in force, Ciara Coroner leading them home to team bronze with a fine individual run in 5th, backed up by great performances from Caoimhe Fitzsimons, Kate Rafferty, Lauren Fewer, Niamh Murphy, Eline Lund and Jane Dolan. 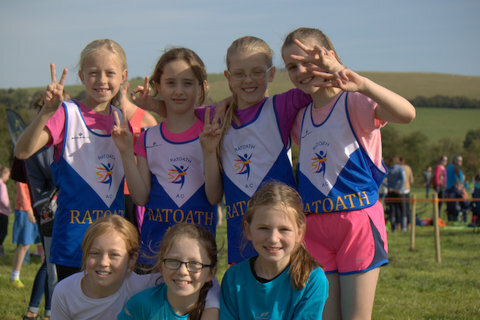 The u11 girls won our only team gold of the day with Sophie Quinn having a convincing win in the girl’s u11 1000m, and great running also form Laura Kelly 5th, Aishling Stratford, Niamh Murray, Lily Nannery and Sophie Greene. Our U11 boys were in great form also, Eoin Kane having a great run finishing 5th, with Harry O’ Connor and Stephen Walsh finishing in the top 15 earning the lads 2nd in the team event. Kyle Witter was our sole athlete in the boys u12 event, Kyle had a great run finishing 5th picking up his first individual Star of the Sea Medal. Aimee Doherty, Amelia Campbell and Molly Keane were up against some stiff competition in the girl’s u12 event, the girls battled well finishing 2nd with Aimee Doherty also 2nd in the individual event. 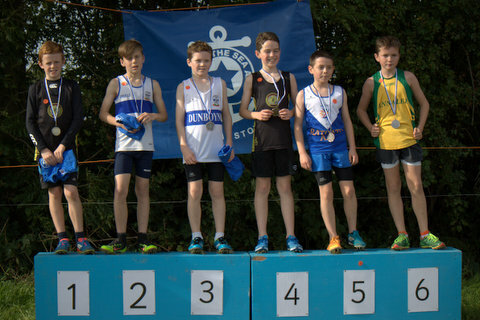 Tom Kilgannon, Oisin Kelly and Killian Stratford were also up against a very strong field, but all ran well to take team bronze, Tom taking an individual 5th place medal. We were unable to field a full team in the girls u15 event, Aoife Kelly and Maria Rogers put in good runs with Aoife taking an individual medal finishing 6th. In the senior events Emer Griffin finished 16th in the women’s 3k and Hugh Kelly finished 39th in the men’s 6k. Thanks to Star of the Sea Ac for hosting another great event and thanks to all athletes and parents who made the trip.